When you decided you wanted to get a cot that was a little bit different I bet you never even imagined you could get one that is this different. Read on to see if this most modern cradle gets the tick of approval for your proposed nursery. 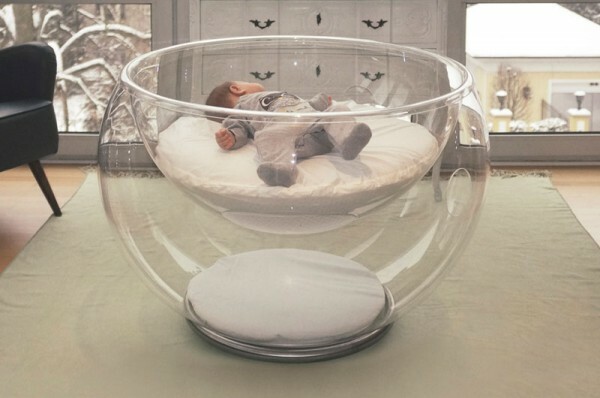 We first brought you this Bubble Baby Bed back in 2012, when it was a merely a concept. Fast forward four years, a slew of awards, international recognition and a lot of hard work and this innovative transparent crib is now a reality. Would you want it in your baby’s nursery? 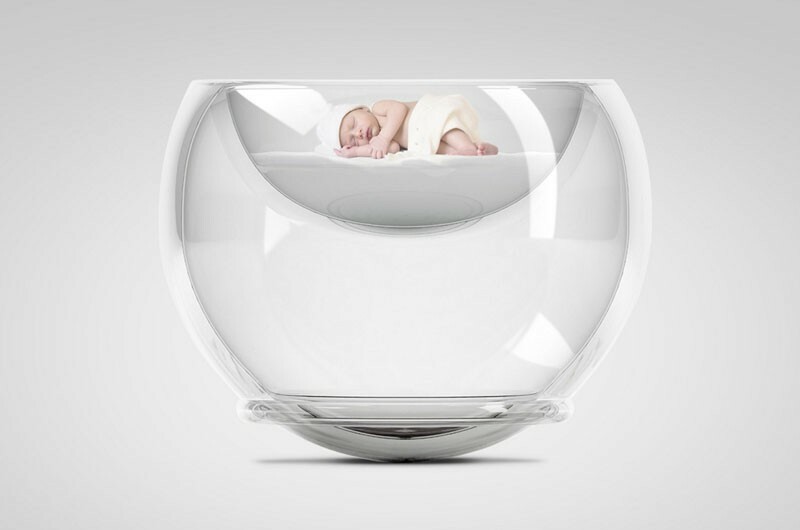 Inspiration for this design was originally taken from hospital bassinets which are safe, easy to care for and hygienic in clear acrylic plastic. Creative designer Lana Agiyan reimagined the acrylic into a lovely fishbowl shape, added the ability to rock as well as a special 3D fibre mattress and then stood by her plan during the two long years of production. Bubble Baby Bed is in fact a rocking cradle. Through some interesting kinetics, this bed uses a weighted centre, to allow gentle movement that is controlled and returns to its starting position. It results in a natural, soothing motion that baby can enjoy as he tries to work out this sleep thing on the outside of the womb. The maximum incline angle is 17 per cent thanks to a metal stopper around the base of the crib so you don’t have to worry about the bed tipping over or tipping baby out. 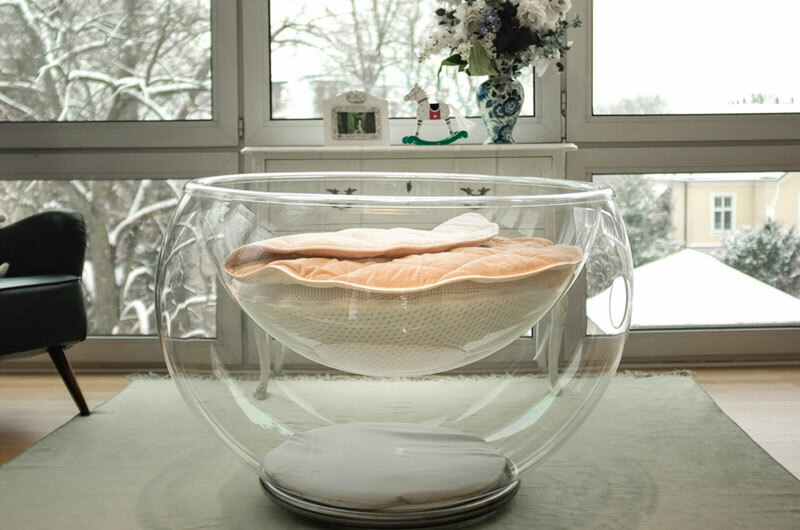 The optimum age for use of this transparent Bubble Baby Bed is newborn to five months. Afterwards it can be used for creative toy storage if you have the room. It’s not going to be for everyone, but definitely makes a design statement and a half that you can’t help but appreciate. 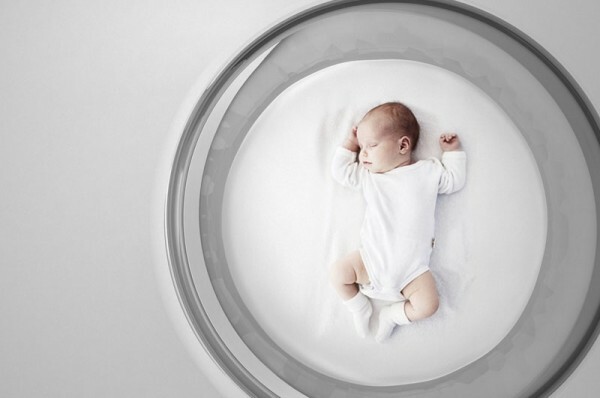 Find out more about the Bubble Baby Bed at their online store. It retails for €2990 plus taxes and shipping. I have no idea how this item is transported, but they do indeed deliver worldwide from Finland. So if you have the space and this bed pushes all the right buttons for you, contact Bubble Baby Bed to work out your options.